While a lot of people love the Elf of The Shelf concept, many are speaking out against it. Sure, it does seem to keep the kids in line as Christmas approaches but could it be doing more harm than we realize? 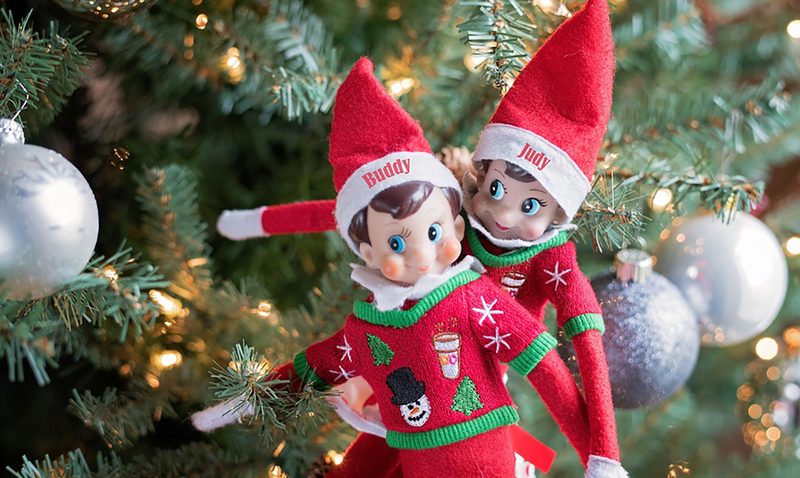 When you think about it, having a live elf in your home that comes alive while you sleep is pretty damned creepy. However, could it be dangerous to your child’s psyche? This is a play of power in more ways than most realize. Rather than addressing the issues at hand when the children misbehave, parents simply say ‘the Elf is watching you better behave’ or ‘the Elf will tell Santa to leave all your presents behind if you act like that.’ It only keeps them in check for about a month and teaching them that they should only do what they’re supposed to when they want something. Pushing our kids to be more materialistic isn’t doing them any favors. Many psychologists have spoken on how dangerous this kind of thing can be if used in the wrong way. Dr. Vanessa Lapointe a parenting expert wrote on this topic just a couple years ago and while she says the Elf on the Shelf is not for her, she notes how some parents could opt to keep the elf without going overboard with it. She says that parents should avoid using the elf as a ‘spy’ and do what they think feels best. If they want to leave the elf literally on the shelf, that is fine. The idea behind this kind of thing is not as fun for the children as you might think. The idea of having a snitch watching their every move isn’t going to make them like it even if it’s doing cute things all night. It doesn’t fix behavior issues and it won’t make things better overnight. Perhaps looking at the Elf on the Shelf in a different manner would be able to make a difference. Rather than using him as a person who watches for bad things maybe say he is counting the good deeds you do and leave it at that? What do you think about this topic? While many are going to be quite divided, I think at the end of the day no matter what you choose to do in regards will play out just fine. How do your kids feel about your Elf on the Shelf? Do you have one at all?